“These are exciting times for Transat,” was how Jean-Marc Eustache, the company’s president and CEO opened his presentation to shareholders in March of this year. 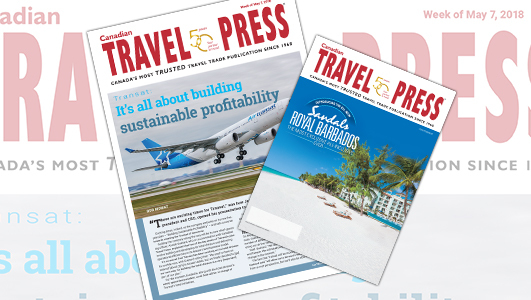 Exciting times indeed as the company embarks on its new 5-year plan — “Building Sustainable Profitability” – and sets a course towards creating the Transat of tomorrow, reports executive editor, Bob Mowat in this week’s digital edition of Canadian Travel Press. Guiding the company along the way will be its new chief operating officer, Annick Guérard, who in a conversation with Canadian Travel Press explained that two of the key areas of Transat’s plan involve building and developing its hotel division and delivering operational efficiencies in its leisure travel business model. For the moment, Eustache, along with the hotel division’s newly appointed president, Jordi Solé will be in charge of Transat’s hotel initiatives.